Enonic XP offers a fully-fledged headless CMS solution, but the platform also goes one step further and combines the best of both worlds with its hybrid CMS approach. Enonic XP is a powerful web application platform, enabling you to develop any digital experience—complex websites, progressive web apps, or APIs that can be consumed wherever you please. 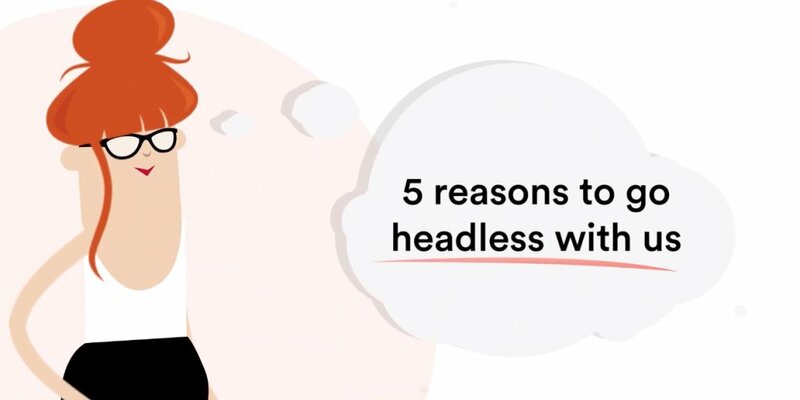 You might have heard that a headless CMS is stripped down to the bare bones of functionality, being little more than a database with a fancy user interface. In Enonic XP there’s no reason to hang with your head, though, as you’ll work with headless in a familiar environment suited for content editors: the Content Studio. The responsive UI includes a clean overview of your content, with a tree structure and content type collections. This ensures seamless navigation, simple permission editing, robust revision tracking, previewing, and easy content creation and publishing. The excellent content management in the Enonic headless solution does not limit itself to the confines of hierarchy and organisation—the image handling also gets its piece of the share. Where a regular database can only show you uploaded images, Content Studio comes with powerful image editing tools. You can crop, rotate, flip, and assign a focal point on all images, as well as reuse them across your content. In addition, you can generate URLs to scale images to any size or format, and bulk upload to save time. And of course there’s drag and drop. As a headless CMS prepares its content for multiple channels, the need for a firm data structure is paramount. In Enonic XP this is ensured by a consisted forms system. Nearly any content type can be augmented by custom and responsive forms, which support grouping fields, optional field sets, image selectors, content selectors, rich text editing, and more. Enonic XP is a future-oriented platform because of several features. First of all, the platform is open source, which means you get full disclosure and transparency, while at the same time any dedicated developer can contribute to the project. Last, but not least, Enonic XP doesn’t force you to go either/or in the world of CMS. As you know, a traditional CMS keeps a close link between content and presentation, while a headless CMS severs this tie. Enonic XP adds the best of both worlds—a hybrid CMS. It can be used as a traditional CMS, a headless CMS, or both at the same time. You get to decide when you should use what, something that will delight both your editors and your developers. Enonic XP is the best choice for a headless CMS. The platform has all common headless features, but adds the hybrid twist of using a traditional CMS when you want to run a website in addition to apps and APIs. Give it a go yourself with our demo on Enonic.com.